A Child should realistically be allowed to brush their own teeth at the age of around 6-8 years old. This is when they have full control of their hand eye coordination and can accurately place the brush evenly across all the areas of the mouth. A research journal created in 2016 states that children should be supervised until the age of 7. This is because dental caries is the most common disease and it peaks at the age of 6. If you let your kid loose on a toothbrush without giving them clear instructions on how to brush, then the risk of getting cavities increases significantly because they simply don’t know how to brush. Another factor is the chore like task it feels to children. 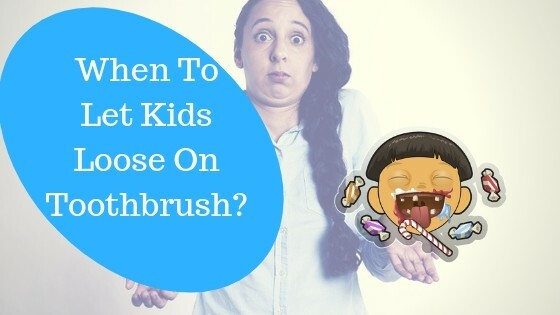 Brushing is repetitive and quite mundane to be quite frank so leaving your child unsupervised from an early age will enable bad habits to creep in and ultimately the destruction of their teeth, not to mention the pain, loss of sleep, problems with eating and speaking, and time off from school! The question of when kids can start brushing their teeth was studied by two researchers who found that children around age 5 only brush 25 percent of the surface on their teeth, around the age of 11, kids brush about 50 percent of the surface of their teeth while 18-22-year-old brush only up to 67 percent of the surface of their teeth. This shows that, as kids grow older, they brush better. Knowing the right technique is crucial as it will give your kids the best chance to go into adult hood with the best set of teeth possible. But this is a problem because the majority of adults don’t really care for their own oral health so it can be quite difficult to show children. Other barriers that come to mind are the cost and availability of the right toothbrushes and toothpastes that are suitable for children. Some brushes have hard bristles that can do more damage to the gums and the fluoride levels contained in some toothpastes may not be suitable for children. The parent or child should angle a soft-bristled toothbrush at 45 degrees towards the gums of the upper and lower teeth. The toothbrush should be moved gently in a back-and-forth motion with short strokes along the teeth and gums. This technique should be continued along every tooth’s interior and exterior surface in a similar way. The tip of the brush should be placed in an upright position to reach behind the front teeth on the top and bottom. Brush the tongue to remove bacteria on the surface. This technique will take a few tries for you to master and because you’re using it on your kids, there might be some resistance on their part but you need to persevere and eventually it will become second nature. 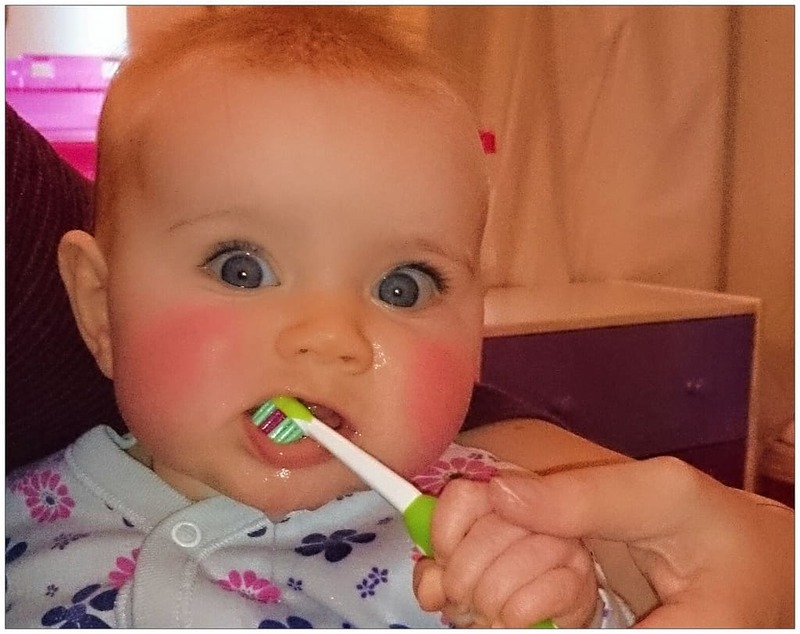 When the first tooth ruptures you need to be on it straight away, Get a specially designed toothbrush for babies and use a tiny amount of fluoride toothpaste and gently brush the tooth. It doesn’t matter too much if you brush for the full 2 minutes, just as long as you get enough of the tooth and gum area you should be fine. The easiest way to get to their teeth is by sitting them down on your knee with the head resting against your chest. With older children, stand behind them and tilt their heads backwards. Small circular motions are the order of the day making sure to cover all the surfaces. Don’t forget to encourage your child to spit the toothpaste out afterwards. There’s no need to rinse with water, as this will wash away the fluoride. We mention using fluoride toothpaste because it has been proven to reduce cavities and harden tooth enamel but there is a growing concern about the health hazards related to this chemical. Some have advised against using it for numerous reasons. If your interested you can read about the hazards regarding fluoride that we wrote about recently. Kids aged between 2-4 will need more supervision than older children because this group have not yet fully mastered the motor neurons needed to have a steady hand when it comes to brushing. You will have to brush their teeth for them but first let them do it by themselves just so they can get used to the feeling. Brushing twice a day is the best option and timing is crucial. 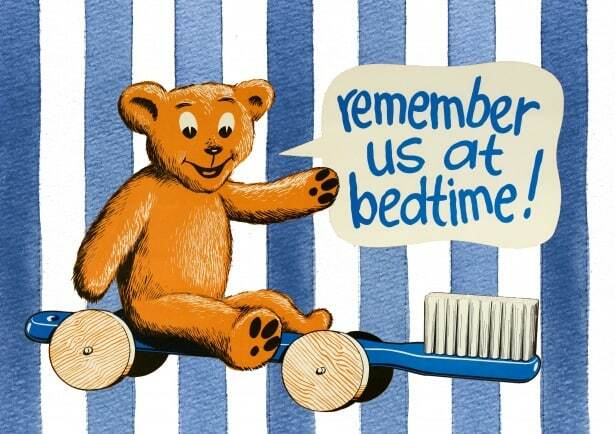 Look for a time that your child will be more open to the idea of brushing, this could be after breakfast or late afternoon but before bedtime is a must. If they are in a cranky or exhausted you will have to wait until they have calmed down. Create a solid routine that you can follow day in and day out because habits formed at a young age will last forever. Let’s be honest, brushing is a pretty boring task but one that needs to be done. Us adults know this but children on the other hand don’t take it seriously and will most likely stop brushing if you don’t supervise them or keep them interested. But there are some things you can do to make brushing a fun memorable experience. No doubt that a cartoon character grabs the attention of children faster than anything else so why not get them a toothbrush that they like. It will make them more inclined to use it than if it were a normal brush. 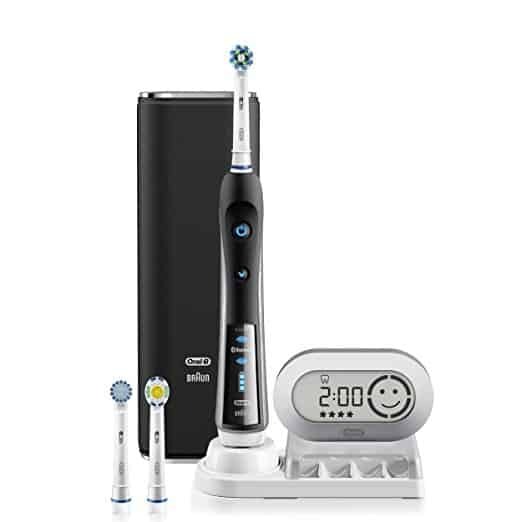 What’s better than a normal cartoon toothbrush?, An electric cartoon toothbrush is what you want. Kids nowadays are highly tech savvy and giving them something electric or different to the norm will make them excited to use it. 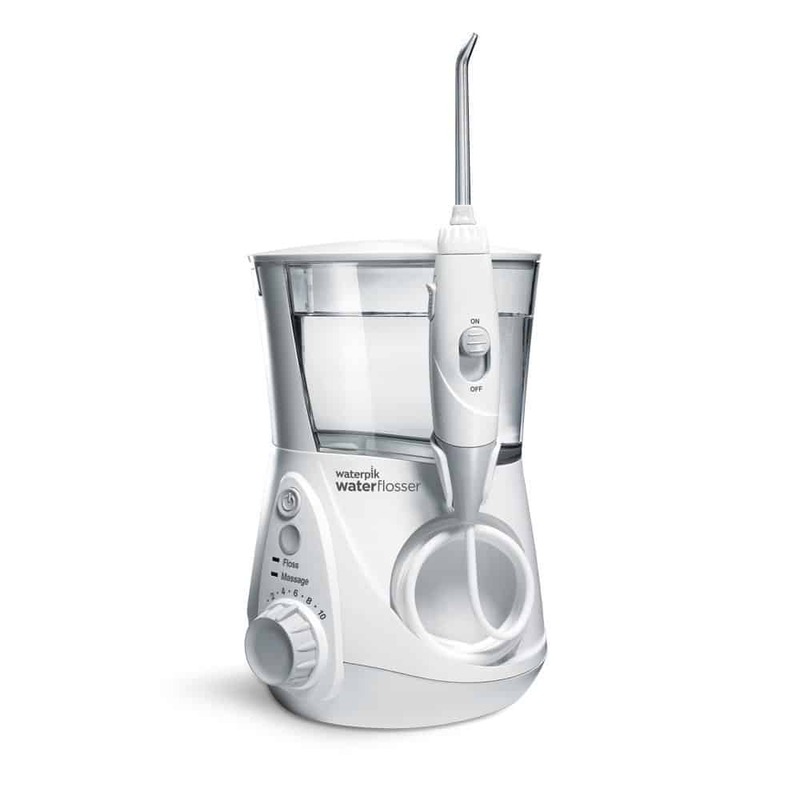 Electric toothbrushes are very safe and are available for children from 3+ years of age. No, don’t give them chocolate, that would be defeating the whole process of cleaning the teeth in the first place. Instead, just give them the chance to choose a book of their choice to read at bed time or give them a sticker they like. Anything that makes them happy but NOT sweets. It’s quite normal for some children to be supervised up until the age of puberty because they simply have not grown at a normal pace and this could be due to a number of factors. Slow developing brain or in some cases problems in their health could cause problems. Some kids are more sensitive to touch than others, which makes tooth brushing especially unpleasant. Children with autism or attention disorders are likely to have sensitivities that affect oral care. First of all, kids aged between 0-17 months do not need toothpaste because they can get enough fluoride through the food and water. You also risk causing fluorosis which is basically white spots being created on their adult teeth. To avoid this, fluoride toothpaste should not be used when brushing the teeth and should be kept out of children’s reach. Children between the ages of 18 months to 5 years are advised to use a low fluoride concentration toothpaste about the size of a pea. Research has shown that children tend to swallow much more toothpaste when brushing. Make sure it’s you who puts the toothpaste onto their brushes, because kids can get a bit too excited and will slab a whole lot on. Children above 7 years of age can use a pea sized amount of adult toothpaste containing a higher amount of fluoride. You can choose a vast variety of toothpastes suited to everyone’s individual needs from your local pharmacy stores or online. 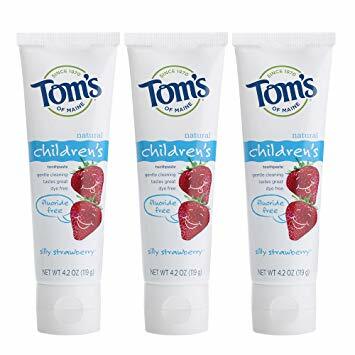 Amazon has a huge range of Children’s toothpaste that you can choose from. Different flavours, pastes without fluoride are all things you need to think about. Most importantly you need to get your children involved and ask their opinion on the toothpaste you should buy. This will make them more eager to brush. We recommend you get your kids an Electric Toothbrush to help them get more excited about brushing but more importantly they do a much better job at removing plaque from teeth than manual toothbrushes. And unlike adult electric toothbrushes, Kids ranges are a lot cheaper and come in different colours and are even cartoon based. So What Age Should A Child Start Brushing Their Own Teeth?, the most common age range we have come across after reading around is between 6-8 years old. Any younger than this and you will have to supervise them and in some cases even brush their teeth for them because they have not fully mastered their hand eye coordination. Another difficult problem you will encounter is resistance from them because as you know, brushing teeth is quite a boring task so it is important you think about this aspect as well. You will somehow have to make this task fun and exciting and one of the best ways to do that is using a toothbrush that is cartoon based and interactive. 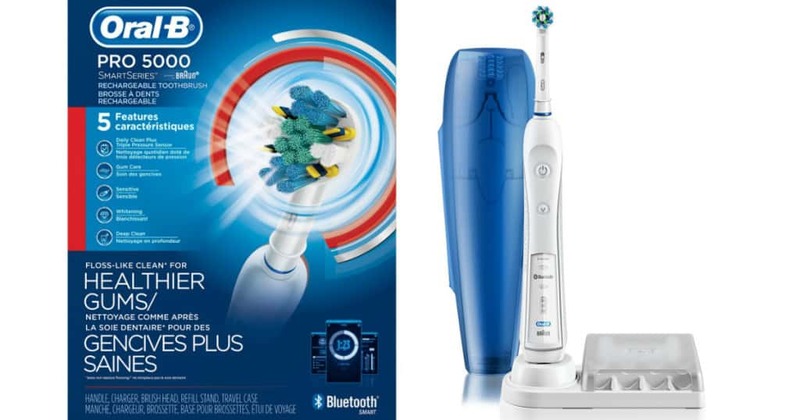 Electric toothbrushes are a great choice because they make brushing exciting and do a much better job than manual toothbrushes. Whatever you decide to do, please make sure your child is brushing regularly otherwise the inevitable happen and your kids will have numerous cavities as they grow up.